Greetings viewers! Ever wondered which is the least hated creature found on earth? In other words, most loved creature by us humans? These creatures belong to the Canidae family, and we call them DOGS. With a sense of smell 10,000 times better than ours, hearing power four times better, and size ranging from that of a hen to that of a bull, these adorable creatures understand our emotions even better than us. Their presence at home has a therapeutic effect on the inhabitants, provided the pet gets regular walk and exercise. Dogs hold the title of the ‘Man’s Best Friend’ because of a common quality among all its breeds – loyalty. They are genetically incapable of cheating, lying or doing fraud of any kind! Moreover, even if your pooch chews up your furniture, some licks and a puppy-face later you will forget your loss. Such is their love for you. 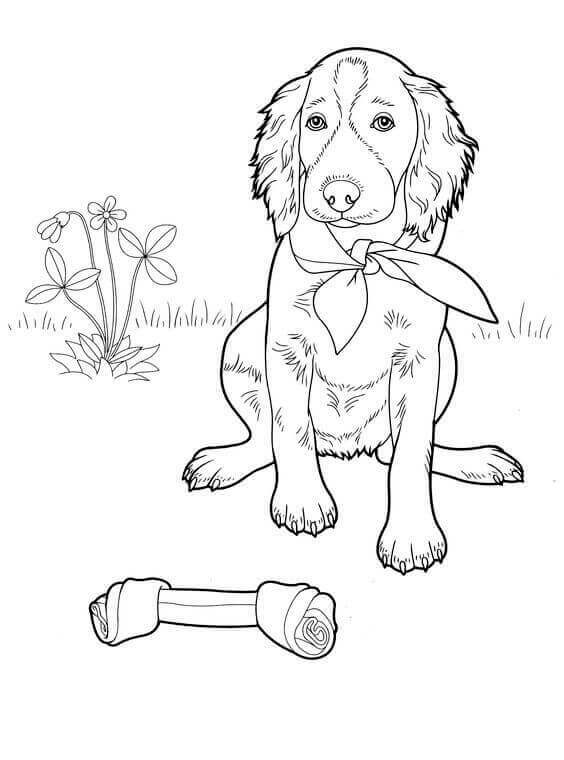 Show them some love with your artistic skills on these free printable dogs coloring pages. 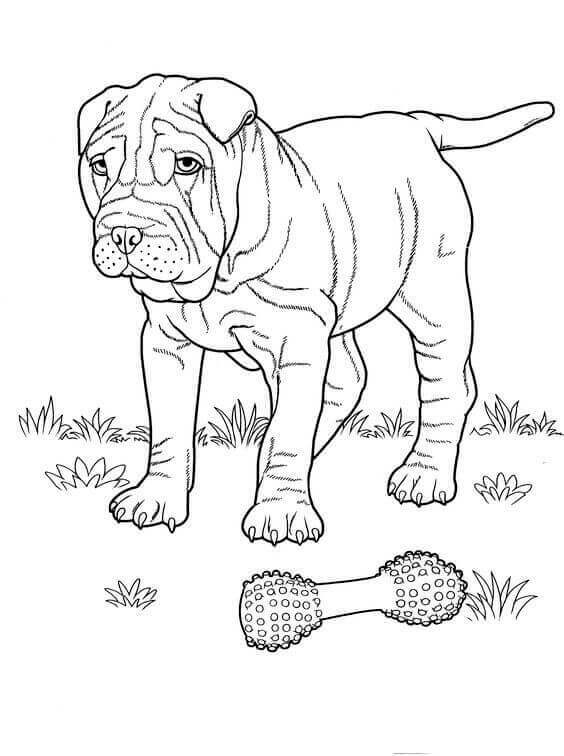 Let’s begin perusing through the list of dogs coloring sheets below! Barbie had a plan to meet Ken. The venue of the meet was not decided. Then seeing her dog Tanner bored, she decided to meet Ken at the beach and take Tanner along to cheer him up. Most of the dogs love playing in the water. But here we see Barbie on the beach with Ken and Tanner posing for a photograph. See how photogenic Tanner is. Let’s color the photograph with fashionable shades! Meet Arthur, the bulldog. He has a chew-toy right in front of him, but he seems disinterested. That is because bulldogs are not known for their playfulness, but stubbornness. Loving, caring, social creatures with courage in the genes, bulldogs make excellent watchdogs. Ferocious-looking yet dignified, they enjoy short walks and long naps. They snore more than bark. Why bark when your looks can scare away intruders? Right, Arthur? A well-groomed fur and long ears are the striking features of Peggy. Her owner loves her because of her compactness. She carries her in her purse to parties where Peggy steals the limelight. 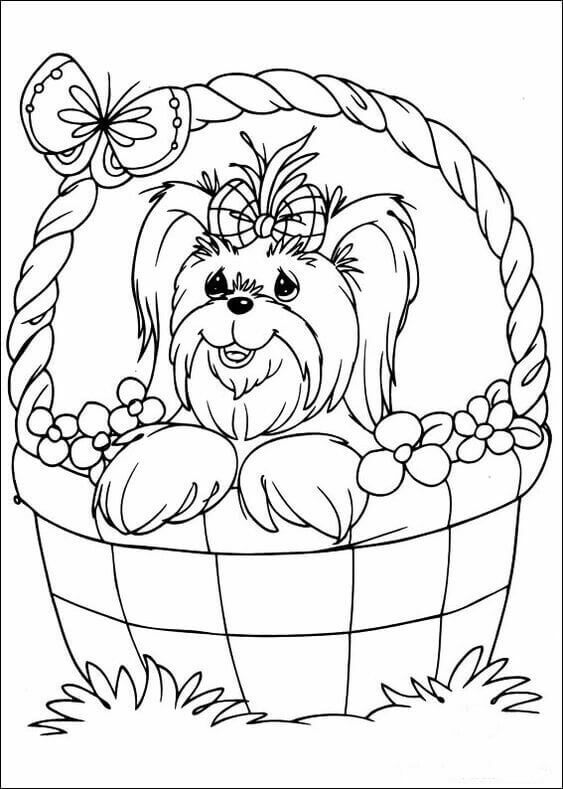 There are various small dogs that are bred to be lap dogs that can fit in a purse. However, without their regular walks, they can be an annoying bundle of energy. If you have watched Tom and Jerry, you probably know the relation between cats and dogs. How Spike used to chase Tom? But in reality, cats have the edge because of their claws. 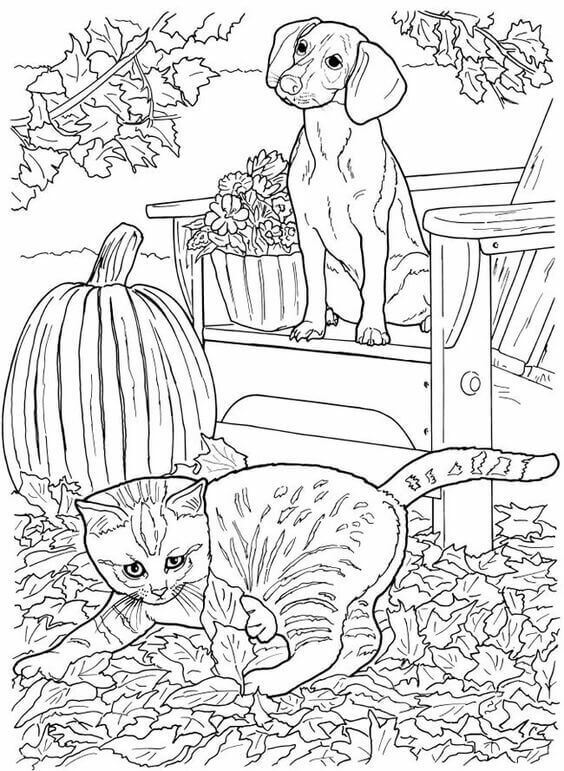 Like you see here, Pickle the cat is behaving like the queen while Champ the pup waits for her to leave so that he can play on the stack of leaves that he made. Cats dominate dogs whenever they can. But if the dog has been taught to be aggressive, cats don’t stand a chance. It looks like Champ needs to learn a lot. Tommy is flying a kite on a bright spring Sunday, and his play buddy Quinn is present too. They have been inseparable since their birth. When Tommy was born, Quinn too entered this world. Since then, they have been together in moments of rest and play. Since Tommy began going to school, Quinn’s playtime is reduced. That is why he is looking so excited seeing a kite fly. This is Dodo. Dodo is of Corgi breed, or a Pembroke Welsh Corgi dog. He is known in his neighborhood for his sweetness and smartness. He is named dodo, but like every Corgi, he is brilliant. He took little time learning how to welcome guests without jumping on them. Active and vocal, he loves playing with kids and tries to herd them together because of their genetic tendencies to herd cattle and horse. Elli is groomed as per the desire of her fashionable owner. Being a Lhasa Apso, she has a lot of fur to groom and decorate. Elli is photogenic like any other fashion model. Her owner ensures Elli’s fur remains attractive. This is ensured by daily combing and regular grooming. Besides being beautiful, Elli is intelligent, independent, and around strangers fiercely protective. Dogs can be considered the domestic cousins of wolves. Being related to wolves makes them comfortable living in a group, called pack. Being domestic, they don’t need to hunt together as the wolves do. However, not every dog likes being in a pack with other dogs. But if trained well, a dog of a pack is usually happier than a single pooch. Look at this pack. Don’t they look happy? Meet Kipper, a German Shepherd pup. He has just arrived at his new home and loves the garden. That is the ideal situation for German Shepherds – an indoor space with open surroundings. This highly active and versatile breed needs a lot of exercises to vent off its energy. Otherwise, it becomes aggressive and loud. But Kipper is sad due to his master’s absence. Color him happy! Fur is the main attraction of many dog breeds – Lhasa Apso, Golden Retriever, Pomeranian, Poodle, etc. Here is Dee, a gorgeous Golden Retriever crossbreed. Everyone loves her because of her shining fur and loving nature. Her name can be spelled using only one alphabet – ‘D’. 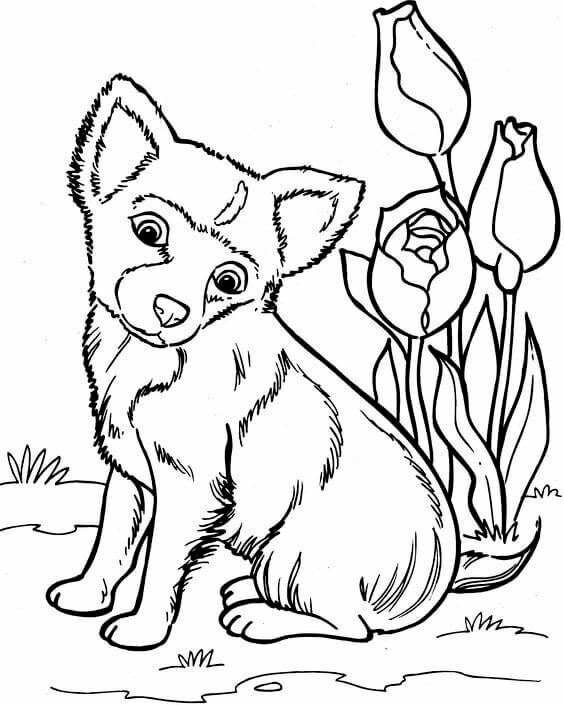 Color her poster to glorify her fur. Harry has built a new house for his dog Kane in his backyard, and Kane is in love with it. 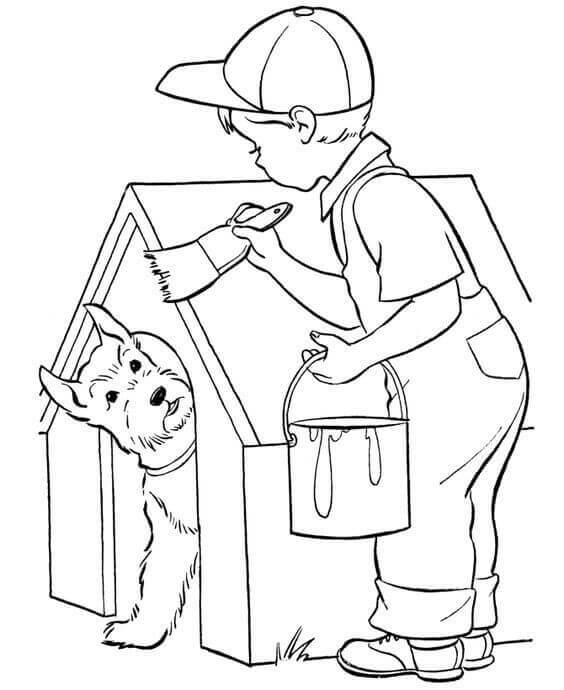 A dog’s house is called a kennel. Scottish Terriers are independent dogs that hunt rodents. To prevent dead mouse in his house, Harry gave Kane his own home to keep his score of the hunt. 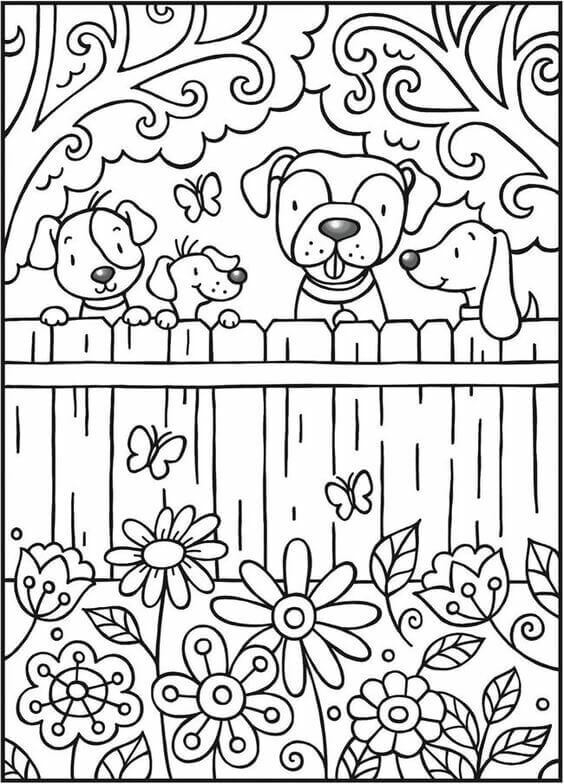 Color and show how you would like the kennel to look? 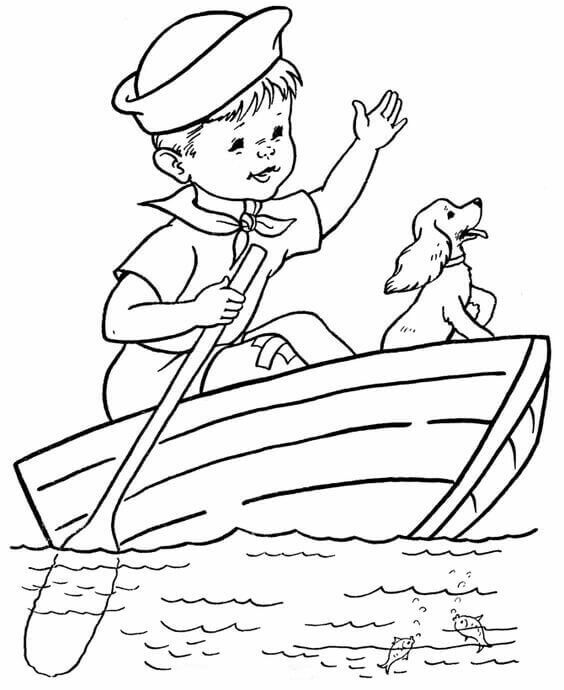 Tommy wishes to be a sailor some day. That is why he has begun learning how to row a boat. Today, he brought along his play pal Quinn to share his free time with him. Doesn’t Quinn look thrilled? Maybe someday we will see Quinn rowing too. So color the boating session in cool shades. 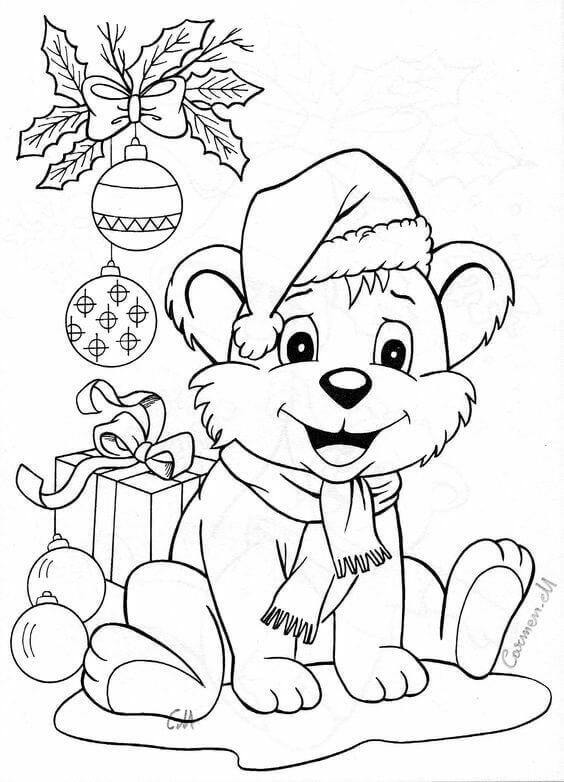 It is Christmas and Sania wanted a teddy bear. Her parents decided to give more than just a teddy bear, though it looked like a teddy bear. She was thrilled to see a live teddy under the tree. The teddy returned her excitement. Fluffy and puffy, he looks pleased to see his new owner. Naming him was not a difficult task anymore. Sania named him Teddy! 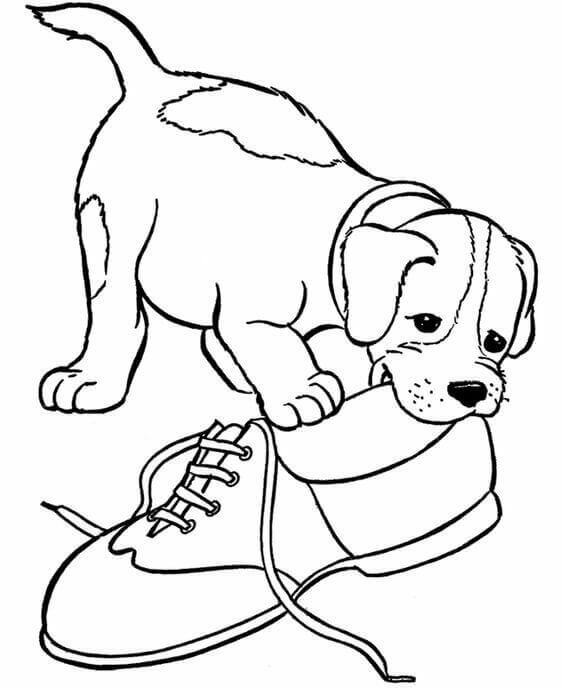 Puppies of all breeds and Retriever breeds of all ages have a potential for chewing anything. Jaws are an important tool and weapon for Canidae family along with their teeth. It is believed chewing distracts the dog from the irritation caused in the gums by the growing teeth. They feel obliged to chew to feel better and develop their jaw muscles too. If you don’t have bones or other chewy toys for your pooch, your pooch will do what Bob the Beagle is doing now – chew up your shoes! The common complaint among people against is that they jump on and lick people, even if they are strangers. That is true, because certain breeds are highly social and love to express their excitement. 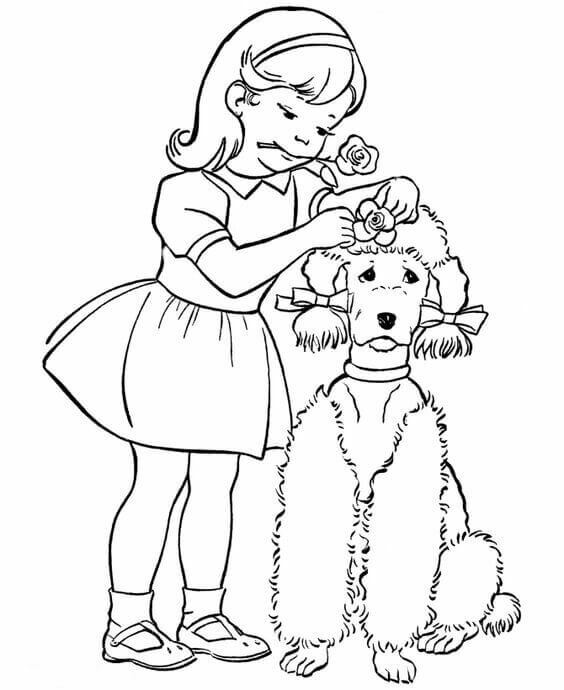 But if trained properly, a dog can turn into a gentleman or lady around strangers, like Lucy the dog in this coloring page. Color her and show how this lady should look! 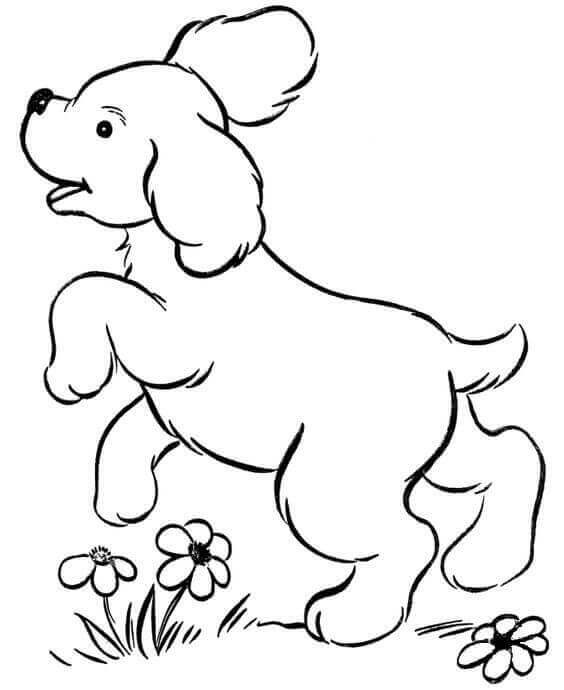 How cute is this dog coloring sheet? Scrappy here is showing one of the rarest skills of the canine world – holding something in the mouth without chewing it up! 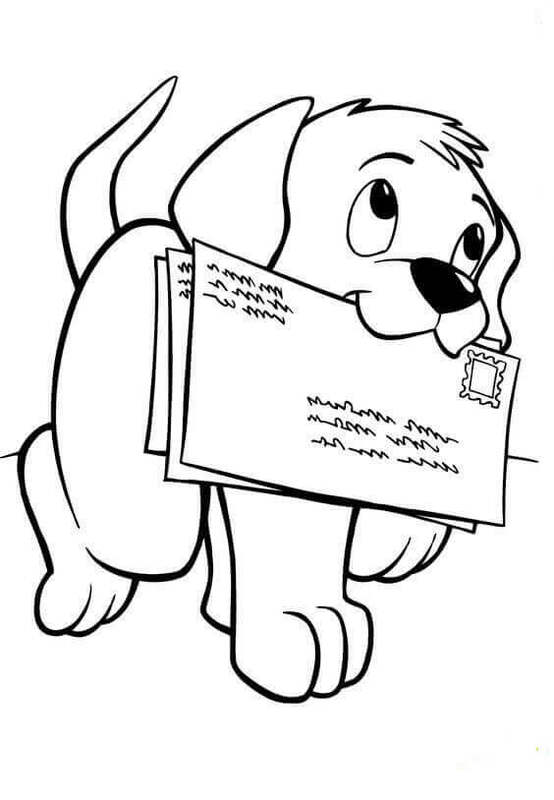 He is bringing the letters to his master with utmost glee. Mostly pups chew anything they get, from newspapers to furniture. The earlier a dog is trained, the sooner they can learn socially acceptable behavior. Give them more treats and you can have them doing your daily chores like Scrappy! An English Springer Spaniel needs a substantial amount of exercise to be happy and calm, so does Mario. This breed was meant to be a hunting buddy, but they are happy to play high-intensity games with their human companion. Smart, enthusiastic, eager to please, they grow anxious if they don’t get to vent their high energy. Maybe that is why Mario is refusing to play with his chew toy. He wants to hunt it before chewing it. Nancy has loved dressing up Paris since childhood. Both grew up together. Being a poodle, Paris is used to all the attention she gets. However, her intelligence and playfulness have been ignored by Nancy lately. If there is not enough learning exercise for poodles, they get depressed. For a week, Paris’ trainer has been on leave. Maybe that is why Paris is not looking as delighted as Nancy. The specialty of small dogs is their compactness. They are better at adapting to apartment living. They are also called lap dogs because they can fit into our laps without overloading it. Though small, they are a packet of energy that needs regular diffusion. Otherwise, they create a nuisance by yapping rather than barking. Nonetheless, they always look cute. 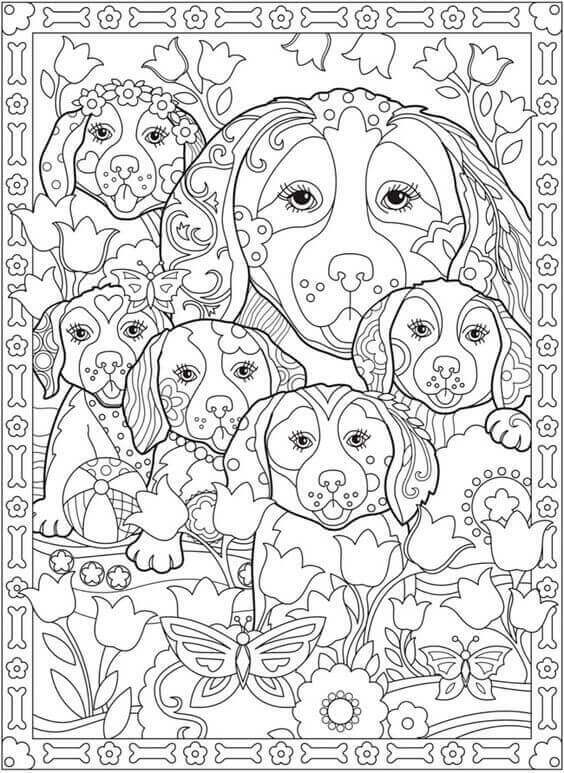 Color and make them look cuter! 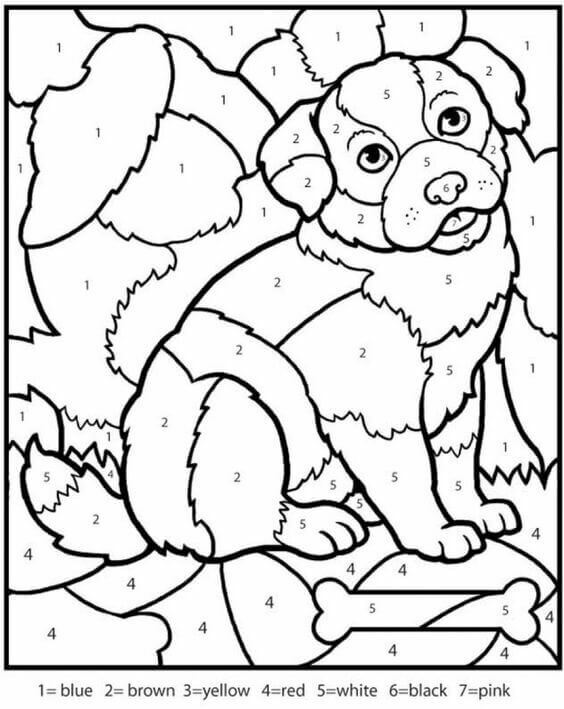 This is one of the cutest dogs coloring pages. Frooti, the cutie has been raised the same way Susan has been raised, and together. Spending every day together ensures that the dog stays happy. 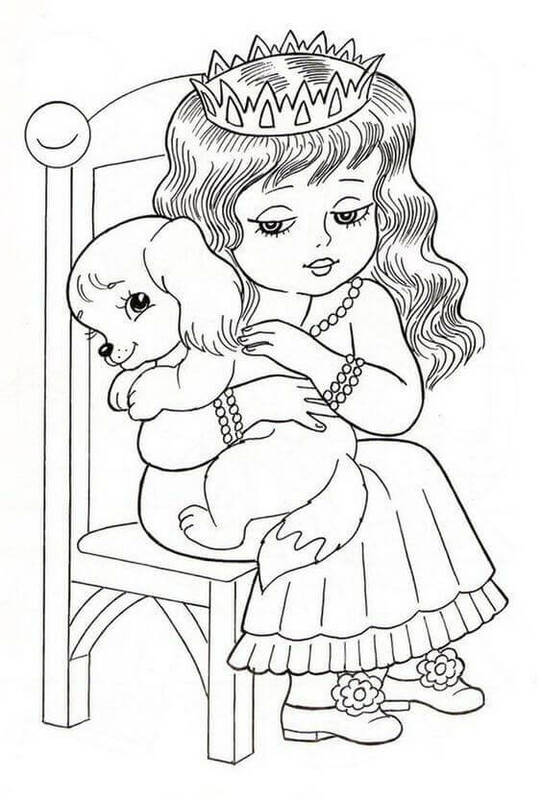 Here we see Frooti, in her well-groomed fur, and Susan, in her princess dress, sitting together in a party. 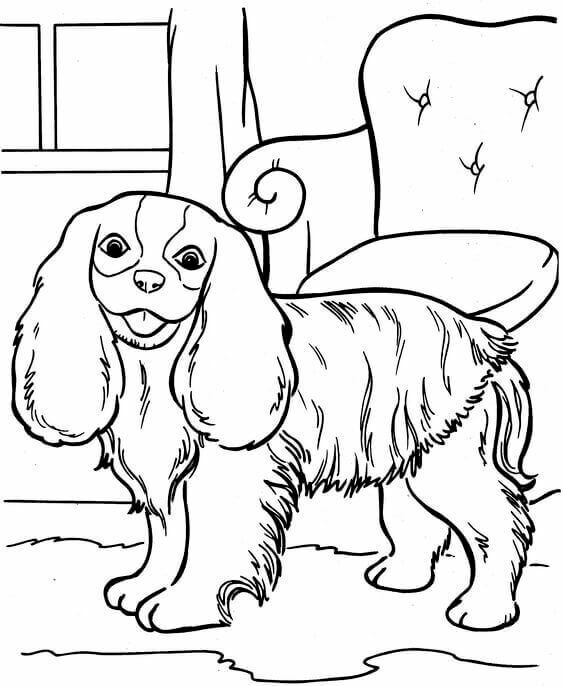 Benzo is an Irish Red-And-White Setter, a gun dog. They are good hunters and hunt buddies. Since hunting is not popular anymore, they feel out of place sometimes and need high-intensity exercise to stay calm. So Benzo’s master provided him a treasure hunt and hid the bone. Benzo found it! Doesn’t he look happy? 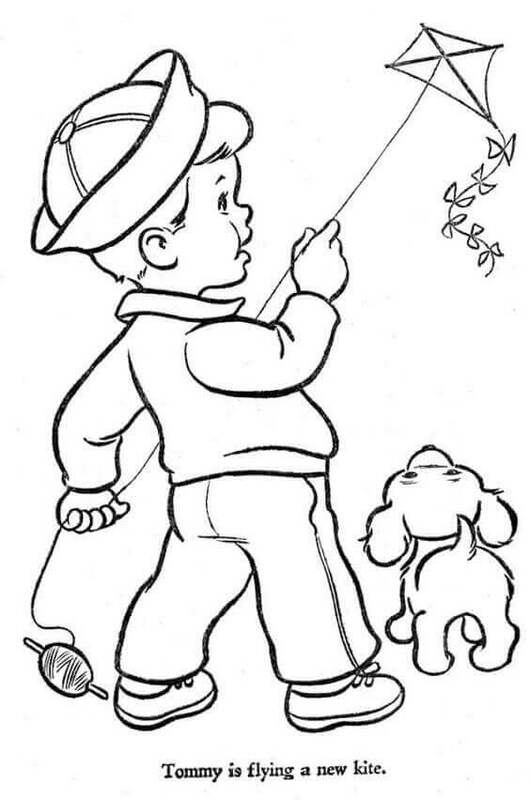 Color him as per instructions are given and bring out his happiness. Fifi is a pup that lives in an apartment most of the time. Being a puppy, she can’t walk much. A few days ago, she looked sad. So on Sunday, her owner brought her to a public park. This change of surroundings cheered up Fifi. She is sprinting, chasing butterflies, hopping, stumbling, and making all the kids in the park laugh with joy! 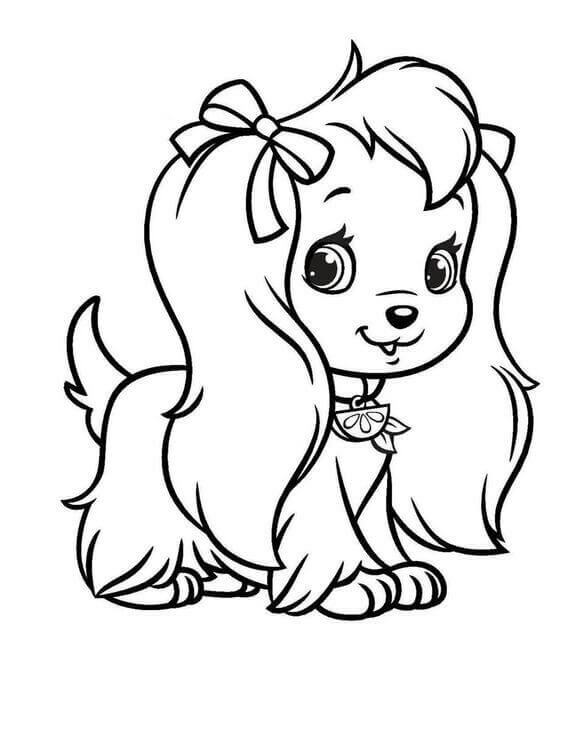 Color her up cheerfully! Otto is one of the luckiest Siberian Husky, as his master has an open lawn with strong fencing around. Huskies are closest lookalikes of wolves – beautiful, athletic, intelligent, and independent. But they are extremely friendly to people. In fact, they might assist the intruders rather than raising an alarm. Not watchdogs, but they make great work dogs for pulling sleds on snow. Otto is lucky because he has enough ground to dig without any chance of getting out of the compound. They can drive apartment dwellers mad if not trained to dwell in apartments. “Lady & The Tramp” is a famous American romantic musical comedy-drama produced by Walt Disney. Lady is an upper-middle class American Cocker Spaniel while Tramp is a street mongrel. They fall in love and end up having four kids – daughters Annette, Danielle, and Colette and son Scamp. Here we see the ladies of the pack. If you have watched the movie, color this scene as you’ve seen it. Else, however, you like it. Every Disney lover, or cartoon lover, knows Mickey Mouse. 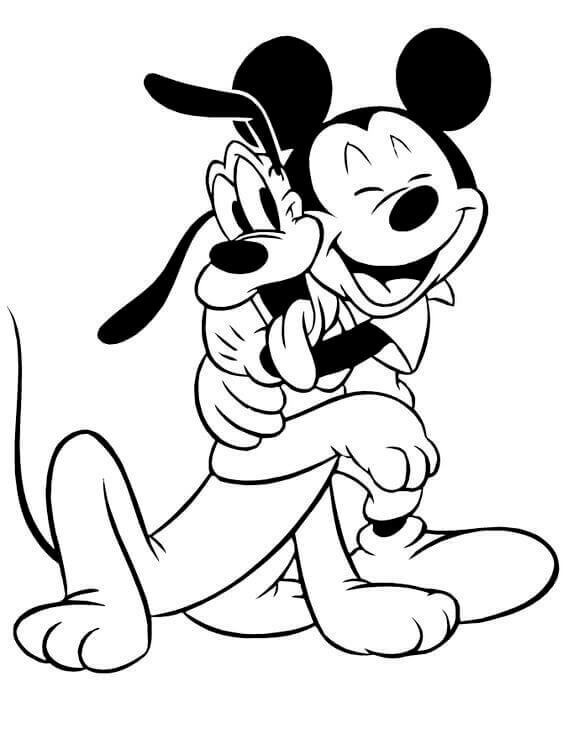 Those who know Mickey Mouse know his pet, Pluto. Pluto is a thin orange bloodhound created by Walt Disney Production. Together they have portrayed precisely how a relationship between a dog and his master should be – full of love and glee! 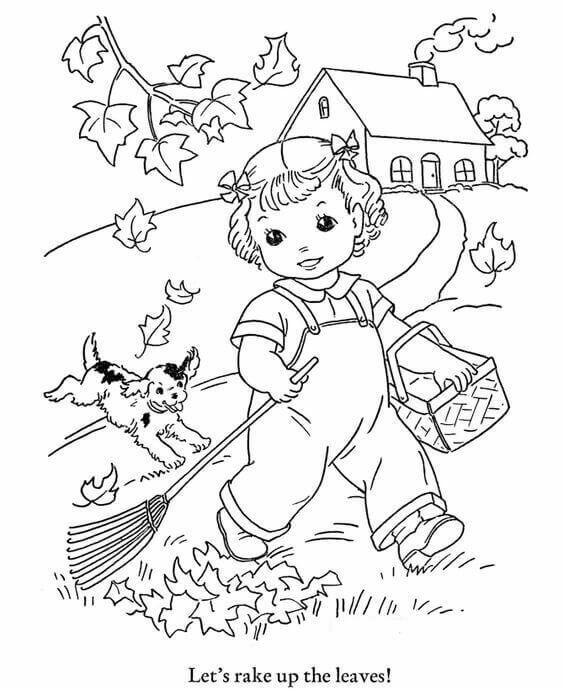 Julia is raking her lawn, and she has brought Patty along. Patty is a smart dog. She knows she will receive a reward if she helps Julia. Dogs are trained efficiently this way – by positive reinforcement. Patty has already learned to make a heap of the dry leaves. Last time she did, she got a strawberry bone to chew! 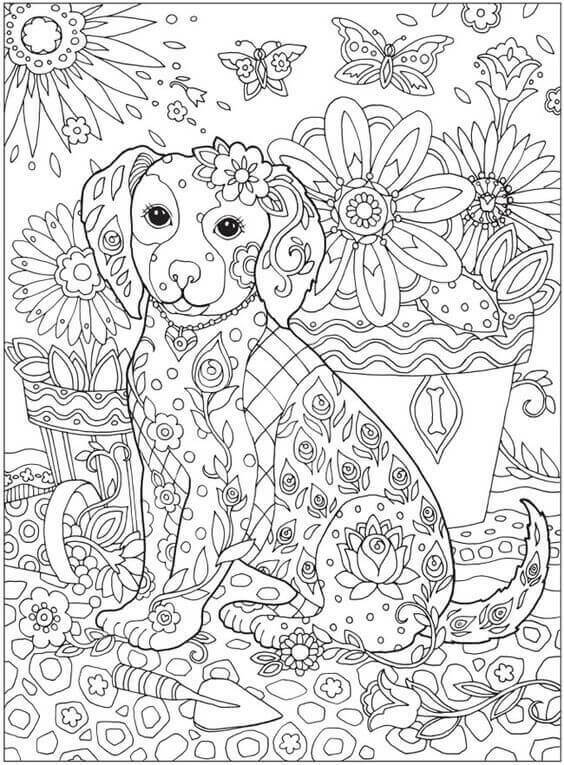 Color her with excitement! Gina is an ideal family dog. Cocker Spaniels are favorite pets because they have a proper balance of being a bird dog and companion dog. They are as happy snuggling with their favorite adult as they are while running with the kids in the garden. Looks like she is ready for a family walk! Dogs may be best companions for humans, but they are beings of nature. They need to get a regular meeting with Mother Nature, which can be through walks, weekly park visits, regular outdoor playtime, or simply a kennel in the garden. An apartment dog will show the real happiness when it comes in a park. 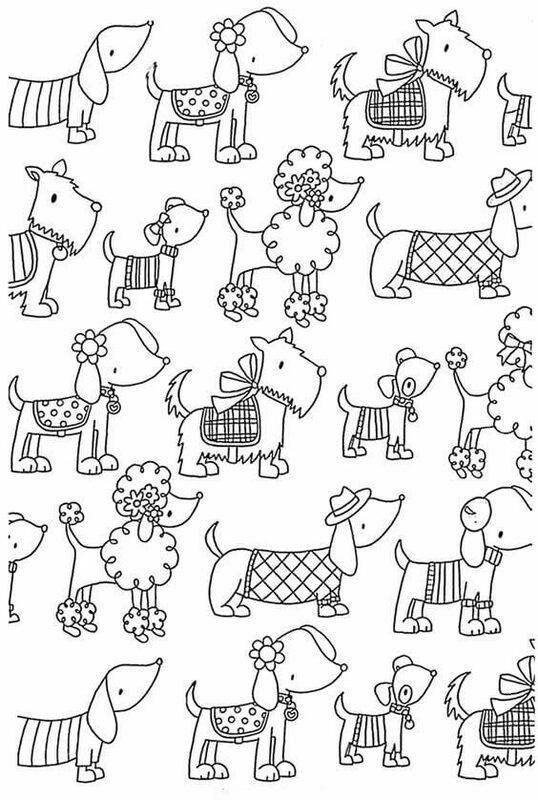 Let’s see how you color these happy pooches! Dogs are sensible, social, as well as emotional beings. They mourn their owner’s loss. Here we see Tickoo whose owner has left the country for a job. Tickoo stays with the owner’s brother. Still, Tickoo seems to miss his master. It will take some time to move on and accept his new owner. 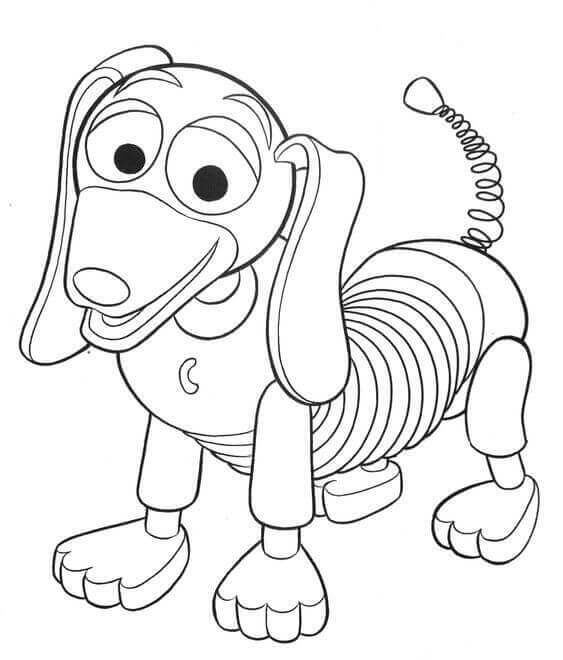 Slinky Dog, named Slinky, is a toy dog that is created in and for the Toy Story franchise by Pixar. He is a toy dachshund who speaks in a graveled Southern American accent. 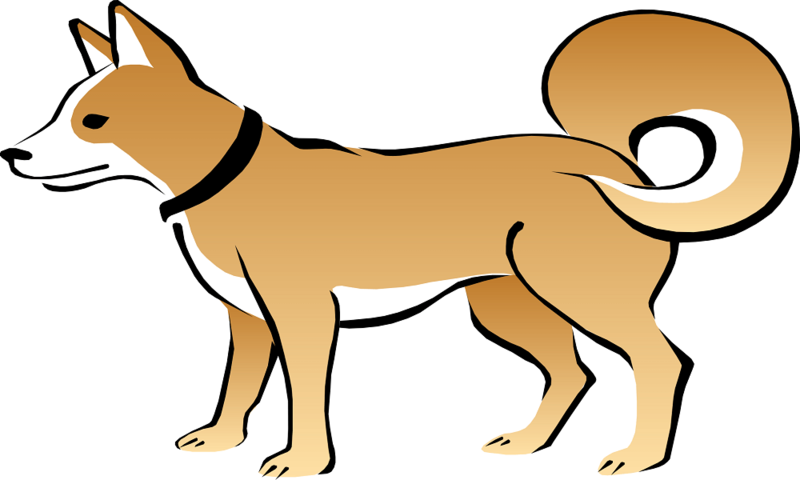 Yes, dogs don’t talk, but they communicate through their whines, tail wags, motions, ears, etc. It takes time to understand their gestures and body language, but once done; you can understand any dog, including Slinky! 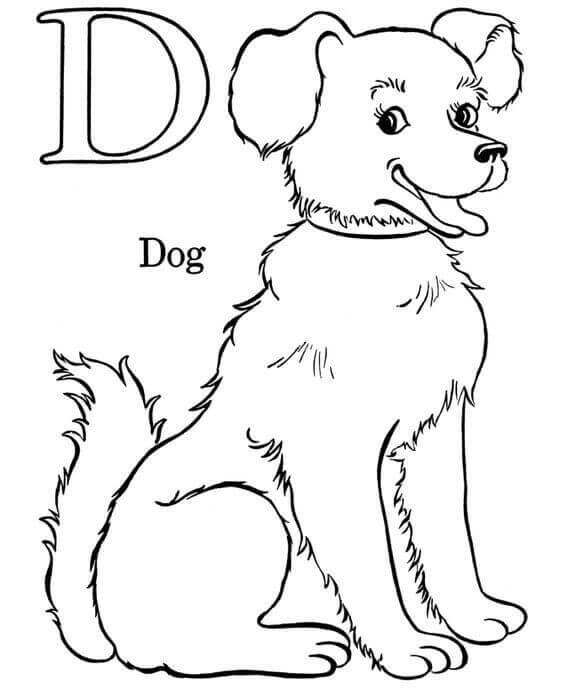 Do you know there are about 340 possible breeds of dogs? No matter which, you will find loyalty, honesty, and love from every breed. 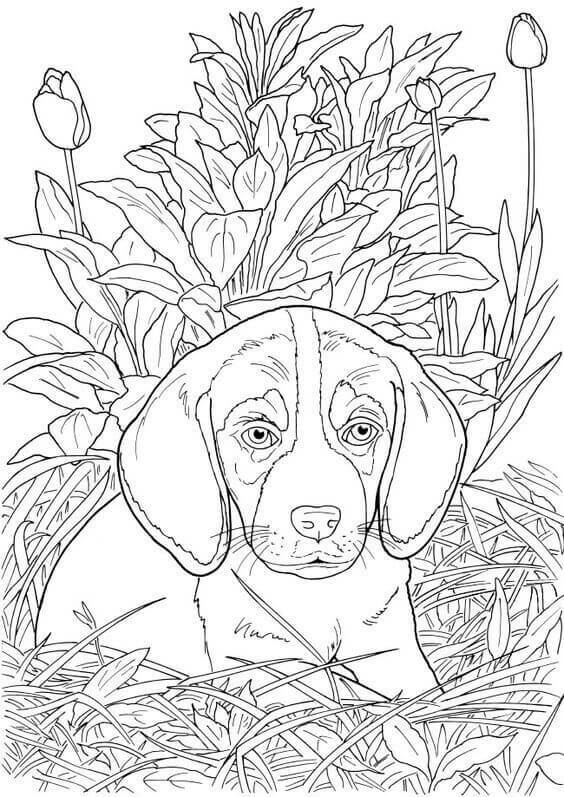 Till you find out about all 340, print all these 30 free printable dog coloring pages and have a paw-some time! 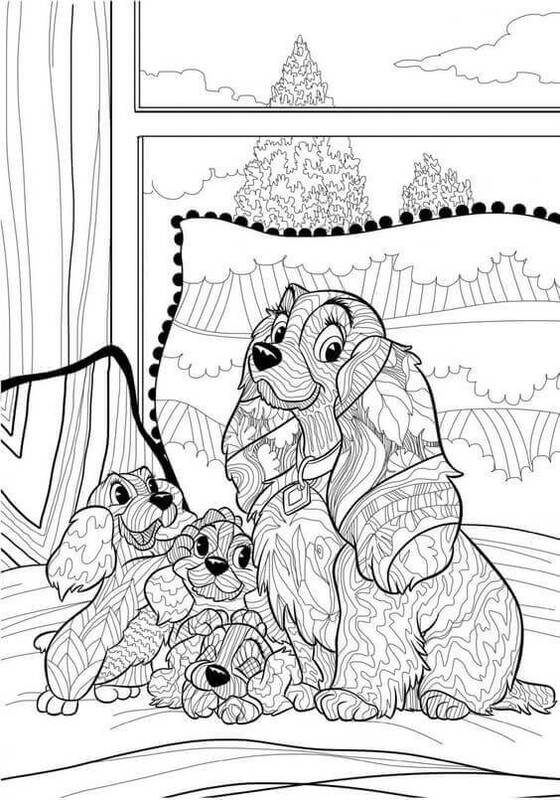 How about downloading all of these dog coloring sheets? Good idea, right?